Price is per 32-inch strand, largest bead measures 10mm of these beautiful beads - ready for stringing. 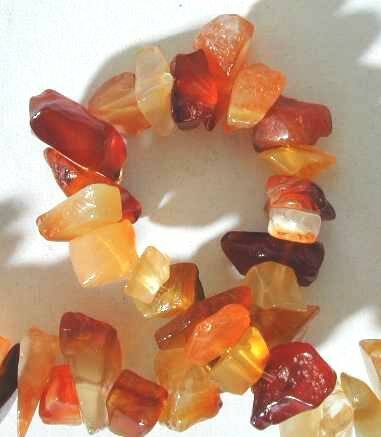 Carnelian is for confidence. It's red color stems from iron oxides and is said to help blood disorders and the elimination of toxins from the body.